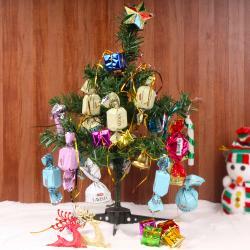 Product Consist : Christmas Tree (Size: 12 Inches) with Pack of Decoratives Ornaments along with Cute Santa Claus Face Hanging and Candle Pillar. Celebrate Christmas with happiness and excitement by bringing home the hamper perfect for Christmas celebrations. 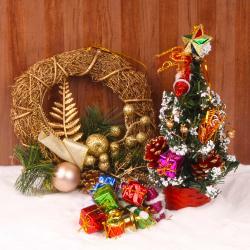 Lets decorate your home and office by bringing this perfect decorative combo for Christmas. 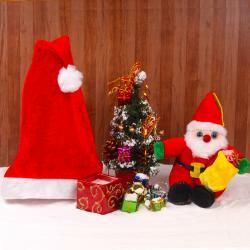 This hamper includes Cute Santa face hanging which can be use for door or wall decoration also with a exclusive candle. 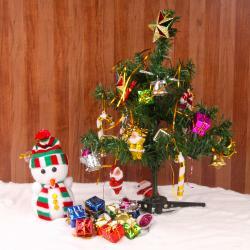 The Decorative Christmas tree with the ornaments gives amazing look and become center of attraction. 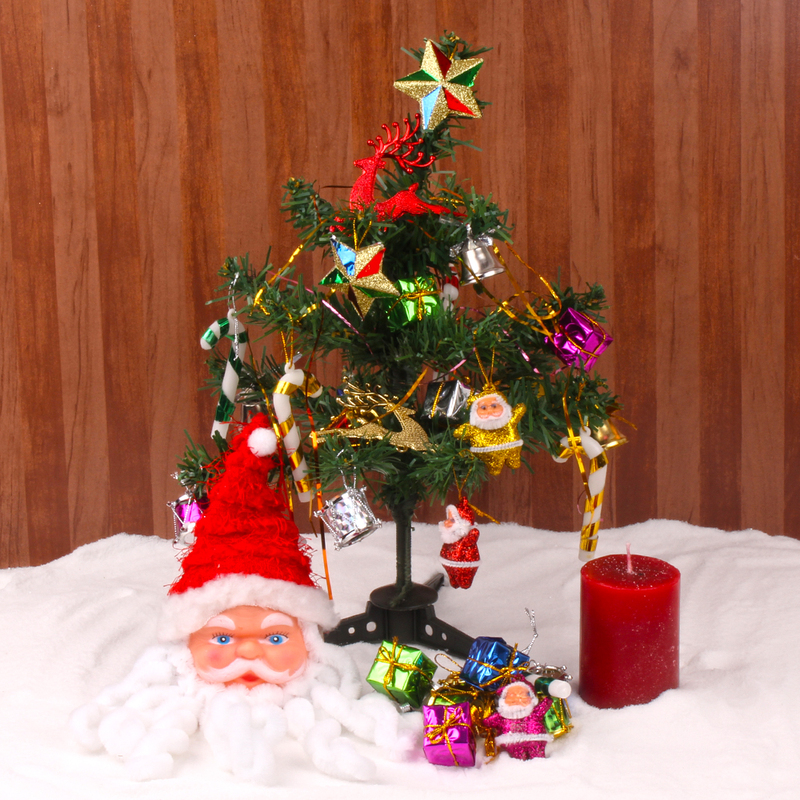 Product Consists: Christmas Tree (Size: 12 Inches) with Pack of Decorative Ornaments along with Cute Santa Claus Face Hanging and Pillar Candle.